DUBLIN AIRPORT- 35 MINUTES DRIVE. Free Customer Parking .Free Wireless Internet with use of Laptop. Ash Cottage is a family run bed & breakfast, offering bright, comfortable, en-suite accommodation,with separate customer entrance.A warm and friendly welcome is assured with local knowledge of the historic countryside. 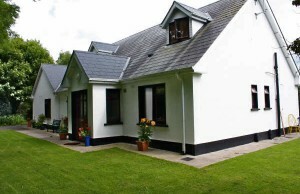 It is situated close to the thriving town of Navan, on a quiet tree-lined road. The County of Meath is the most historic in Ireland. Close to Ash Cottage are the neolitich burial sites of Newgrange ,Knowth and Dowth,which are UNESCO world heritage sites. The Hill of Tara (the seat of the ancient High Kings of Ireland) is close by Trim Castle as are Kells,Battle of the Boyne,Monasterboice and Melifont Abbey. Castles, Irish Round Towers and Monasteries are a feature of the local landscape. Navan offers a variety of facilities and amenities for any visitor, including shopping, dining and a wide selection of pubs, night clubs and hotels. 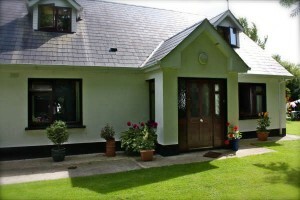 The house is a five minute walk from the Ardboyne Hotel and a three minute walk from the local pub and restaurant. Sporting fans are well catered for. The nearby River Boyne is famous for its salmon and trout fishing and the house is a two minute stroll from Navan Rugby Football Club. Navan Racecourse, Fairyhouse Racecourse and high quality local Golf courses are a short drive away. County Meath is an untapped goldmine for cyclists. It is a wonderfully green and fertile county with quiet country roads to satisfy any skill level.